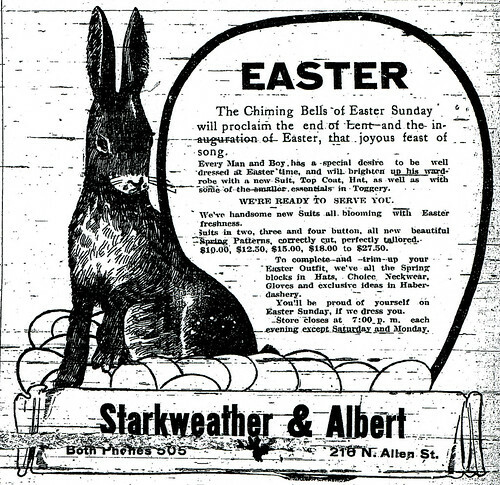 Easter Advertisement in the Joplin Globe utilizing the Easter Bunny and an Easter egg. 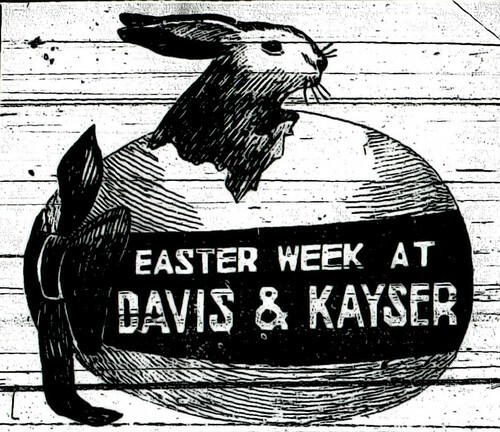 Easter Bunny with Easter eggs in advertisement. 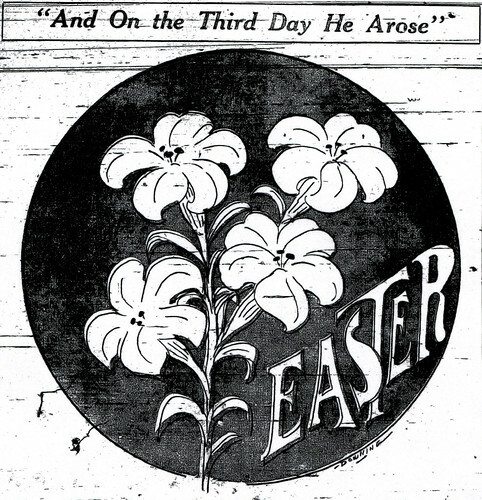 This page took 0.247 seconds of computer labor to produce.